Hi guys, it's me again. Today I would like to show you a few Christmas presents which I was lucky enough to receive this year. Anybody who knows me knows that I like shoes a little......... ok so it's more like an addiction. I see a nice pair of shoes; flat, high, sparkly, plain, and I'm like “ohhh I need those in my life”. So when Santa left me some shoes under the Christmas tree, needless to say I was too excited! 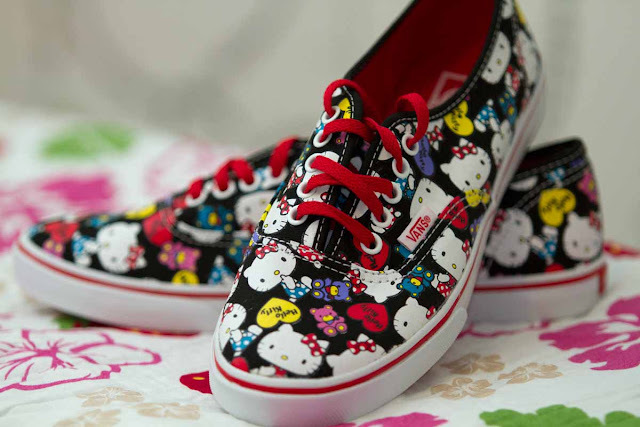 The first pair I'd like to show you today are my Hello Kitty Vans. Hubby picked these himself, as he does with most presents, and I have no issues with him buying me any item of clothing or footwear. He has really good taste and knows me so well!. These were from Office (I know because I saw the bag the day Hubby bought them) and are so cute! I love the print on them and Vans are really comfy to wear. The babies are a size 4, because I do in fact have child size feet, and they fit great. And these are going to be worn til the cows come home, and other such passage of time phrases. The next 3 pairs, yes I did get 4 pairs of shoes for Christmas, did I mention that I was a lucky girl?, were gifted to me by the mothership. Now what my mum doesn't know about finding a bargain isn't worth knowing. She trawls Ebay, rummages at TKMaxx and can smell a sale a mile away. Also she is a fashionista to boot! 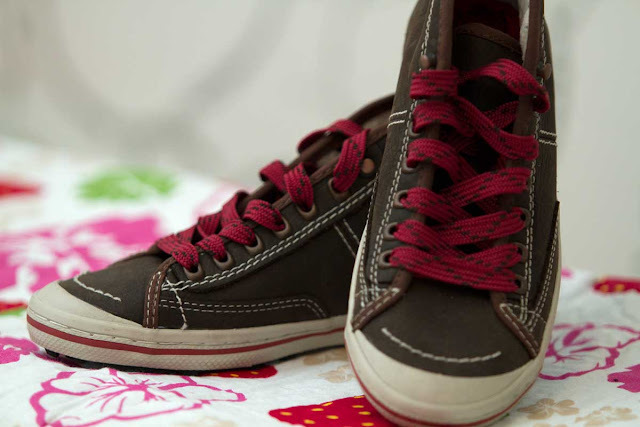 Continuing with the theme of flats, the next are a pair of hightops from TKMaxx. They are a brand I have never heard of before called 'Simple', and they have a soft leather feel to the outside, and a fleecy inside. I feel for me, that these are the right combination of sporty and classic, and I will be wearing them with jumper dresses for a paired down daytime look. These are a 3 and a half and if I am being honest I could have done with a 4. These are a little tight but being the fabric that they are I am hoping they will stretch. 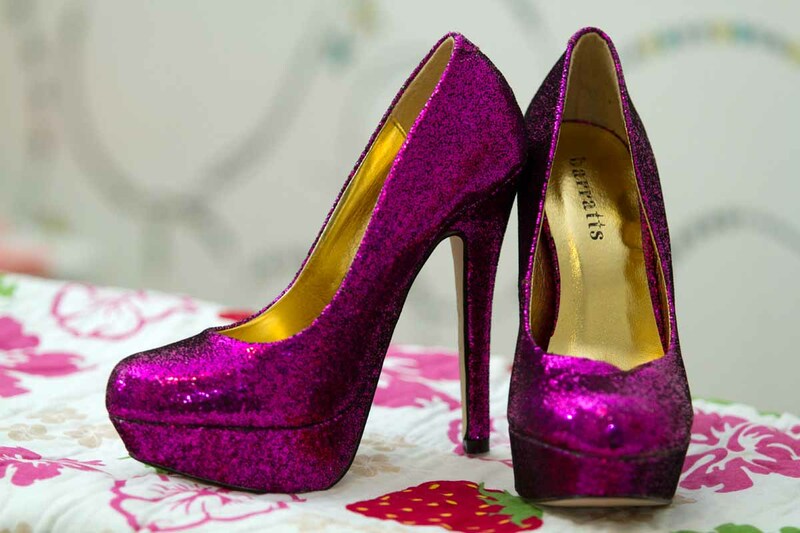 The third is a pair of glitzy heels from Barratts and boy are they stunning. These are a size 3 and I found that they come up just a tad small. But they are worth the pain because once on, wow, people will be drawn to these like Magpies. 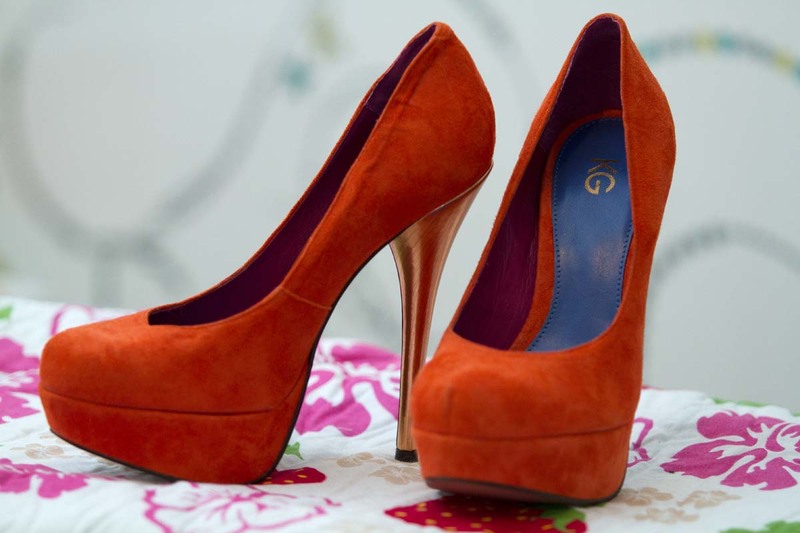 Definitely show-stopping shoes! And last but definitely not least. The pièce de résistance. My new Kurt Geiger's. Now I like shoes in general. And as long as they are lovely I don't care about the price. But lovely expensive shoes, *swoon* I'm gone. These shoes are a size 3 and fit to perfection. They are beautiful and sleek and make me feel a million dollars. I am assuming these will have been purchased from Ebay, just by going off where my mum does her shopping. And no doubt they will have been a bargain, which makes me even happier (who doesn't love a bargain?). So here they are. 4 new lovelies to add to my ever growing collection (and to let you in on a little secret, I have already added to the collection again, but shhhh don't tell anyone). 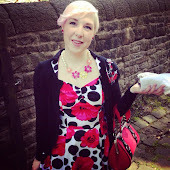 I hope you have enjoyed my little shoe post, and watch out for these popping up in some outfit posts in the near future.